Foreign investment in Spain is fostered by, among other things, the fact that a number of Spanish multinational companies are global leaders in a variety of sectors; Spanish reforms to strengthen competitiveness and entrepreneurship; Spain's membership of the European Union, which enables duty-free transactions and free movement of goods, services, capital and persons; and strong economic and business ties, and good communications, with Latin America, all of which have led to Spain becoming the location for the headquarters of multinational companies for their Latin American or European activities. Foreign investment in Spain increased significantly from 2015 to 2017 (gross and net foreign investment increased from €25.3 billion to €36.1 billion and from €19.3 billion to €24.5 billion respectively).3 The main sectors towards which this investment was addressed are energy, real estate, financial services, telecommunications and wholesale trade. After years of recession, foreign investment started to recover in 2014, just as the Spanish economy showed signs of improvement. However, there are still some concerns regarding the political spectrum (including the recent change of government and the Catalonian situation) and the effects of Brexit, which, together with other economic issues in Spain (essentially, the unemployment rate and high fiscal deficit), may influence foreign investors' perception of the country. 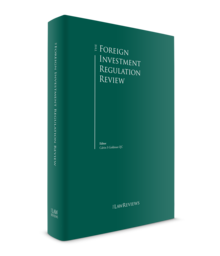 Spain has a favourable legal framework for foreign investors. Spanish law has adapted its foreign investment rules to a system of general liberalisation, without distinguishing between European Union (EU) residents and non-EU residents. In addition to the general regime described below, Law 18/1992 of 1 July, establishing rules on foreign investments in Spain, provides a specific regime for non-EU persons investing in certain sectors: national defence-related activities, gambling, television, radio and air transportation. For EU residents, the only sectors with a specific regime are the manufacture and trade of weapons or national defence-related activities. an ex post declaration regime, which applies to all foreign investors, including those subject to an ex ante declaration, for administrative, statistical and economic purposes only. The Council of Ministers can suspend this liberalised system on an ad hoc basis if investments affect, or may affect, public powers, public order, security or public health-related activities. If the liberalisation regime for foreign investments is suspended regarding a specific area or activity, that investment would first require administrative clearance by the Council of Ministers. RD 664/1999 suspended the general liberalisation regime relating to foreign investments made in activities directly related to national defence, such as the manufacture or trade of weapons, ammunition, explosives and military equipment. Therefore, any investment in any of these activities will require an authorisation from the Council of Ministers,4 except if the investment (1) is made in listed companies that render activities in this sector, (2) is equal to or below 3 per cent of the share capital, and (3) does not allow the foreign investor to directly or indirectly become part of the managing bodies. Law 13/2011 of 27 May on the gambling sector, which regulates gambling activities (including online gambling) carried out within a country,5 provides that direct and indirect non-EU investments in Spanish entities operating in the gambling sector are subject to the provisions of RD 664/1999; therefore, they are liberalised. However, a Spanish licence must be obtained to operate gambling activities in Spain. Moreover, to operate in-person gambling (and all other gambling carried out at an autonomous regional level), an additional authorisation must be obtained from each autonomous region where gambling is to be carried out. The regulation, inspection and control of gambling activities in Spain is carried out by the General Directorate of Gambling Planning of the Ministry of Finance and Civil Service. As a general rule, under Law 7/2010 of 31 March, on audiovisual communication, there are no restrictions on the acquisition of holdings in Spanish companies belonging to the audiovisual communication services sector. However, investors who are citizens or residents in a country that is not a member of the European Economic Area (EEA) can only hold stakes and voting rights in a Spanish audiovisual communication services company that uses spectrum in accordance with the principle of reciprocity. Additionally, the shareholding held, directly or indirectly, by a non-EEA person in these operators may not exceed 25 per cent of the share capital of the Spanish audiovisual communication services licence holder, and the total shareholding in a Spanish audiovisual communication licence holder by non-EEA persons must not exceed 50 per cent on aggregate. Certain restrictions also exist regarding simultaneous shareholdings in Spanish licence holders that use spectrum. The restrictions referred to in the two preceding paragraphs are supervised by the Ministry of Energy, Tourism and Digital Agenda. In this context, EU airlines shall also notify the competent licensing authority in advance of any intended mergers or acquisitions and within 14 days of any change in the ownership of any single shareholding that represents 10 per cent or more of the total shareholding of the airline or of its parent or ultimate holding company. In addition, when an airline becomes aware that the maintenance of operating licences or the exercise of traffic rights derived from air traffic bilateral treaties are at risk, it must make the circumstances public and notify, inter alia, the State Agency for Aviation Safety, which will in turn notify the Ministry of Public Works. From the moment of notification, no acquisition or transfer of shares may be made by foreign individuals or legal entities, unless the acquisition or transfer is accompanied by certification issued by the airline showing that the said acquisition or transfer does not exceed the limits required by the applicable laws or the bilateral air traffic treaties signed by Spain regarding air transport. Finally, if the airline is aware of any acquisition or transfer of shares that, in breach of the provisions described above, may jeopardise the requirements laid down in the laws and agreements mentioned above, the board of directors of the airline may acquire the shares in question for subsequent cancellation. In such cases, and until such time as the shares are physically transferred to the airline, the board of directors may resolve to suspend the voting rights attached to the shares. The acquisition of holdings in Spanish companies in the telecommunications sector is liberalised, but certain restrictions exist on the simultaneous holding of telecommunications operators in Spain (see below regarding the acquisition of simultaneous holdings in principal operators). Moreover, in accordance with Law 9/2014 of 9 May on the regulation of telecommunications, activities can be rendered by EU companies and by non-EU companies provided that, in the latter case, there is an international treaty signed between Spain and the country of the relevant company. However, the Spanish government can authorise exceptions to this regime. Certain restrictions also exist to prevent anticompetitive hoarding, particularly by restricting the total number of frequencies to be used by the same operator or group of operators, or by providing time limits for the utilisation of the titleholder's rights of use. The rendering of telecommunications services is subject only to prior communication, except in cases where the use of spectrum is required. In the latter case, a prior concession granted by the Ministry of Energy, Tourism and Digital Agenda for the use of spectrum is required. Under Law 3/2013 of 4 June, creating the National Commission on Markets and Competition7 (NCMC), the Ministry of Energy, Tourism and Digital Agenda may supervise acquisitions of shares of (or by) companies8 undertaking regulated energy activities (regulated gas activities include regasification, primary storage, transportation and distribution of natural gas) or owners of certain types of key energy assets,9 as such supervision may lead to a post-closing notification of the relevant transaction or potentially, in some cases, even to the imposition of conditions on the acquirer or the target company. These powers are vested in the Ministry of Energy, Tourism and Digital Agenda, but for the time being, until the Ministry is provided with the appropriate resources, they will be exercised by the NCMC. The most notable feature of this supervision is that it is made following an ex post communication regime (i.e., there is no authorisation but rather a communication). Furthermore, in the event of acquisitions made by regulated companies or in the scenario in which the acquisition is made by a regulated energy company or a non-EU or non-EEA resident company, the Ministry of Energy, Tourism and Digital Agenda would be entitled to impose conditions, provided that the NCMC believes there is a real and sufficiently serious threat to the security of the supply of electricity, gas or hydrocarbons within the scope of the activities undertaken by the acquirer. Finally, Spanish regulations provide that individuals or entities that participate, directly or indirectly, in more than 3 per cent of the share capital of more than one principal operator (a utility company that is one of the five companies with higher market value in the relevant sector) in the same energy market or industry among those specified in the above-mentioned provision (including power generation and electricity supply, and natural gas production and supply), may not exercise their voting rights in excess of the 3 per cent threshold or appoint any directors, without prior authorisation from the NCMC. Finally, the CNMV must also authorise the acquisition of a direct or indirect holding in Bolsas y Mercados Españoles (the holding of the Spanish stock exchanges) representing 1, 5, 10, 15, 20, 25, 33, 40 or 50 per cent of the voting rights, or a percentage that, despite being lower than 1 per cent, allows the exertion of a significant influence in the company. Investments in Spain may be carried out directly. There are two main structures available for conducting business operations in Spain: incorporating a subsidiary company (or acquiring an existing subsidiary company) or establishing a branch. In practice, there are no operational differences between the two structures, and there are no business restrictions deriving from the type of structure. The creation of branches and subsidiaries requires the execution of a public deed before a Spanish notary public, and they must be registered at the Commercial Registry. Both types of entities must comply with certain tax and accounting registrations and current obligations. A subsidiary is a company (i.e., an independent legal entity) that may conform to any of the corporate structures provided for under Spanish law. A subsidiary enjoys full legal standing and decision-making autonomy. It has its own share capital, articles of association, management bodies and governing policies. The investment corporate vehicles most frequently used in Spain are the public limited company and the private limited company. Both exclude shareholders' liability for the company's obligations or liabilities. Spanish law also regulates other types of entities, in some of which shareholders have liability for the company's obligations if they are not settled. A branch has no legal personality separate from the company to which it pertains. The head office and all its branches share the same legal personality (that is, they are all the same legal entity). The establishment of a branch does not require compliance with all the requirements set out in Spanish law for the incorporation of a new company, but it is still necessary for a resolution to be passed by the head office of the company, a notarial deed to be executed in Spain and for at least two managers to be appointed and authorised to act in Spain on behalf of the branch. The branch must also comply with certain reporting obligations. As regards the liability of the branch, since a branch has no separate legal personality, the foreign head company operating in Spain through a branch will be liable for the obligations of the branch. Under Spanish law, non-Spanish entities or individuals that carry out any activity with potential tax implications in Spain must obtain a tax identification number (tax ID) in Spain. Tax ID identifies individuals, legal entities and entities without legal personality pursuant to Law 58/2003 of 17 December on general tax. if appropriate, a special power of attorney granted by the non-Spanish entity in favour of any Spanish individual or entity to request the tax ID on behalf of the foreign entity. Documents listed in points (b), (c) and (d) must be duly notarised and legalised. if appropriate, a special power of attorney granted by the foreign individual in favour of any Spanish individual or entity to request the duly legalised tax ID on its behalf. The copy of the passport, the certificate and the power of attorney, where applicable, must have an apostille affixed, including the relevant notarial stamp to prove that the documents have not been manipulated (i.e., the use of staples is not sufficient). upon an acquisition, the relevant company holds an interest carrying less than 30 per cent of the voting rights of the listed company, but within the 24-month period following the acquisition appoints a number of directors who, with those already appointed, represent at least one half plus one of the members of the board of directors of the listed company. However, there are certain rules whose application may vary depending on the nationality of the bidder, such as the possibility of releasing the directors of the affected company from their duty of passivity if the applicable law of the country of origin of the foreign bidder does not provide for the duty of passivity as a general duty, and the bidder has not submitted voluntarily thereto under a resolution adopted by its shareholders at a general meeting. An alternative for marketing and distributing foreign products in Spain without creating a separate structure (i.e., neither a company nor a branch) is to enter into a distribution agreement or an agency agreement with a local company operating in Spain. Additionally, an investor may carry out a service in collaboration with another company through a joint venture. Distribution and agency agreements must be carefully negotiated and drafted. When an agency agreement is terminated, the agent is entitled to claim an indemnity from the other company in consideration for the agent having attracted new clients for the principal party or increased sales to existing customers. Courts have also expanded the indemnification obligation to distribution agreements not clearly separated from agency agreements. The indemnification cost may be significant. economic interest groupings (EIGs),14 which are commonly used to provide centralised services within the context of a broader association or group of companies, such as centralised purchasing, sales, information management or administrative services. One of the key differences between TBAs and EIGs is that EIGs are commercial entities with a legal personality separate from their partners. Under Spanish law, foreign investors are defined as individuals not resident in Spain, legal entities domiciled abroad and foreign public entities. formation of or participation in joint ventures, foundations, economic interest groupings, cooperatives and co-ownerships if the total value exceeds €3,005,060.52, or any investment from a tax haven jurisdiction regardless of the amount. The review procedure by the relevant competent authority of an acquisition of an interest in, or an asset of, a Spanish company (or the concession of a licence) in the sectors described in Section II, in which an authorisation is required, differs between sectors and varies depending on the type of investment; in some cases, the nationality of the acquirer (i.e., EU versus non-EU investors) also introduces certain peculiarities. Because of the limited scope of this chapter, only a brief overview of the main features of this procedure is provided. The authorisation period ranges from 30 days to six months, depending on the affected sector. It is important to highlight that, in general, these authorisation periods may be suspended by the relevant competent body (by means of information requests), and the period can therefore be extended. As a general rule, if a resolution denying the acquisition is not issued after expiry of the specified period, authorisation can be presumed. In the case of authorisations related to the financial sector, the information that must be provided in the authorisation request is broadly described in the applicable regulations, and generally aims to offer proof of the investor's integrity, experience, solvency and its ability to comply with all the applicable sectoral legislation. Except in the case commented on in Section II.vi pertaining to the energy sector, authorisations generally operate as a condition precedent, and the transaction cannot be closed until authorisation is obtained. During the review process, the public bodies are obliged to keep the information confidential.15 However, the dissemination of information between different departments has an inherent risk of leakage. In the event of a leak, the existence of the transaction could reach the media, but normally information provided to the regulator is not leaked. With the exception of competition files, in which other players in the sector may express their position regarding the potential acquisition, authorisation processes are handled only with the interested parties (the acquirer or the buyer, or both, as the case may be). A public resolution denying an authorisation is subject to administrative or judicial challenge, or both. Companies planning to enter the Spanish market should take into consideration the fact that the acquisition of, or merger with, companies active in Spain may be subject to a mandatory merger control review by the competition authorities. This mandatory review regime implies an obligation on the acquiring company or on the merging parties to notify the deal and to suspend its execution until its approval by the authorities. Transactions that may be subject to merger control review are mergers of two independent companies, acquisitions of sole or joint control over undertakings, and the creation of a joint venture. A notification and suspension obligation will apply provided that certain thresholds are met. In this regard, it is important to take into account that two sets of rules apply to transactions affecting the Spanish market: EU merger control rules16 and Spanish legislation. For transactions that do not reach the EU thresholds (typically those of a smaller scale), Spanish merger control legislation may apply. According to this legislation, transactions must be notified to the NCMC17 if one of the following alternative thresholds is triggered: (1) if the transaction results in the acquisition or increase of a market share of 30 per cent or more in the relevant market in Spain, or (2) if the combined turnover of the relevant undertakings in Spain amounts to €240 million, provided that at least two of the undertakings concerned have a turnover of €60 million in Spain. However, transactions are exempt from the notification obligation when the turnover or assets in Spain of the acquired company do not exceed €10 million, as long as the parties do not have an individual or joint market share of 50 per cent or more in any of the markets concerned. Public takeover bids will not be subject to the suspension obligation provided in the Spanish merger control legislation, provided the following conditions are met: (1) the transaction must be notified to the national competition authority within five days of submission of the bid to the CNMV, and (2) the acquirer must not exercise the voting rights attached to the shares acquired, or must do so only to maintain the full value of those investments and on the basis of a derogation granted by the competition authority. With regard to multilateral international treaties related to the protection of foreign investments, Spain joined the International Centre for Settlement of Investment Disputes (ICSID) in 1994, whose primary purpose is to provide facilities for conciliation and arbitration of international investment disputes. In 1998, Spain ratified its adhesion to the Energy Charter Treaty, signed in Lisbon on 17 December 1994, which establishes a legal framework through which to promote long-term cooperation between its members in the energy field and provides protection to investors similar to that established in the bilateral investment treaties (BITs) described below. the banning of expropriation or similar acts, except where, for public interest reasons, with no discrimination, the legal process is followed and there is appropriate compensation. The BITs include mechanisms enabling investors to bring any dispute to different international tribunals of arbitration after a period of friendly negotiation and, in some cases, after submission of the dispute to the local jurisdiction. In connection with this, ICSID and the ad hoc arbitration set forth in the United Nations Commission on International Trade Law (UNCITRAL) Arbitral Regulations are the preferred tribunals of arbitration, but in some other BITs, such as those with Cuba and the Dominican Republic, parties direct their disputes to the International Court of Arbitration of the International Chamber of Commerce. Additionally, the Energy Charter Treaty allows disputes to be brought before the ad hoc arbitration of the UNCITRAL Arbitral Regulations or the Arbitration Institute of the Stockholm Chamber of Commerce. In addition, from the perspective of private relationships between investors, any person has the right to submit any controversy to the Spanish tribunals (whenever these are competent), the decisions of which are appealable before a higher tribunal. Moreover, and regarding arbitration, Spain adhered in 1977 to the Convention on the Recognition and Enforcement of Foreign Arbitral Awards of 10 June 1958, and has incorporated in its internal legislation19 the main features of the UNCITRAL Model Law on International Commercial Arbitration. Finally, the Lisbon Treaty has given the European Commission full exclusive competence regarding FDI. Accordingly, the European Commission will gradually negotiate and sign new BITs on behalf of all Member States with a view to the progressive replacement of Member State BITs that are in force or may enter into force. However, until this replacement occurs, it is provided that Member State BITs with third countries may be maintained in force or enter into force, as long as they do not constitute a serious obstacle to the negotiation or conclusion by the European Union of bilateral investment agreements with third countries. The strategy to carry out foreign investment in Spain will obviously depend on the features of the potential investment and the target (i.e., acquiring a controlling stake differs from acquiring a minority stake, and whether a regulatory approval or an antitrust clearance is needed is also relevant). As in every investment opportunity, it is critical to analyse the financial, legal and tax implications of the transaction beforehand, and the resulting structure, to make sure that any potential synergies are achieved. It is also advisable to gain an understanding of Spanish employment law and check that any labour plans for the target are lawful. In the event of major investments triggering regulatory approvals by a supervisor (other than in a takeover bid scenario, where confidentiality is crucial), it is generally advisable to approach the relevant supervisor to explain the transaction and the proposed timetable. This will not guarantee that the transaction will be authorised, but it will certainly smooth over the process (when public officers are informed in advance of a given transaction and its background, they are likely to be more interested in starting the file analysis). However, any such approach will be considered from case to case, and balancing the consequences of potential information leaks. the acquisition by Eventbrite (United States) of Ticketea (a leading Spanish ticket provider) as part of its growth strategy in Europe. The economic and political situation still raises some concerns. 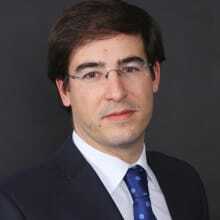 At a local level, future trends in foreign investment will very much depend on the ability of the brand-new Spanish government, which does not have parliamentary majority, to implement a reform programme that contributes to sustaining growth in the Spanish economy and to manage the situation in Catalonia. From an international perspective, the effects of Brexit are still difficult to measure, although it will necessarily affect the Spanish economy (the United Kingdom is Spain's sixth biggest investor country) and the rest of the Eurozone. Nevertheless, according to ICEX Spain Trade and Investment, opportunities may still be found among Spanish companies, particularly in the following sectors: information and communications technology, automotive industry, logistics and transport, aerospace, biotechnology and pharmaceuticals, agribusiness, real estate and tourism, and environment and natural resources. 1 Edurne Navarro and Alfonso Ventoso are partners at Uría Menéndez. 3 Source: Spanish Ministry of Economy, Industry and Competitiveness. 4 Royal Decree 137/1993 of 29 January, on the regulation of weapons, and Royal Decree 130/2017 of 24 February, on the regulation of explosives, also establish the requirement of a special authorisation from the Council of Ministers for direct or indirect foreign investments in the firearm production and trade sector and the explosives production and trade sector. 5 Gambling carried out in an autonomous region range (including all in-person gambling) is governed by the regulations of the relevant autonomous region. 6 For this purpose, shares representing the share capital of Spanish airlines shall be in registered form and the nationality of the relevant shareholders shall be expressly stated. 7 The National Commission on Markets and Competition (NCMC), which has been operational since 6 October 2013, replaced the Spanish National Energy Commission. This new authority merged the previous competition authority, the National Competition Commission, with several sector regulators responsible for telecommunications, energy, postal services, audiovisual communication, railways and airports. 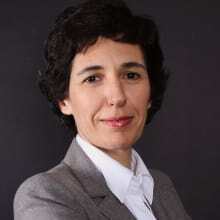 The Spanish government put forward a draft law that, if passed, would entail the 'demerger' of the NCMC and would create a regulatory body independent of the competition authority; however, it remains to be seen whether this change will be carried through by the new government (formed in 2018). 8 The share acquisition should confer a 'significant influence' over the acquired company (Law 3/2013 does not provide any threshold above which a significant influence should be presumed). 9 Key energy assets include nuclear power stations, coal-fired power stations, oil refineries, oil pipelines and oil-bearing storage areas. 10 Red Eléctrica de España and Enagás GTS have additional restrictions in terms of the exercise of voting rights. 11 Law 10/2014 of 26 June on discipline, supervision and solvency of credit entities; Law 20/2015 of 14 July on management, supervision and solvency of insurers and reinsurers; and the Law on the Securities Market (approved by Royal Decree Law 4/2015 of 23 October). 12 Prior approval must also be obtained when crossing thresholds of 20, 30 and 50 per cent, or whenever control of the entity could be obtained by means of an acquisition. 13 Governed by Law 18/1982 of 26 May concerning the tax regime of temporary business groupings and associations and regional industrial development companies. 14 Governed by Law 12/1991 of 29 April on economic interest groupings. 15 Once the authorisation is granted, all or part of the information can be accessed by third parties in the internal registries that most regulatory bodies maintain. 16 If a transaction has an EU dimension, the European Commission will have exclusive jurisdiction over the merger, and the Spanish merger control procedure will not apply. In this regard, Council Regulation (EC) No. 139/2004 on the control of concentrations between undertakings sets out the relevant thresholds that trigger the obligation to notify the European Commission. 18 The list of countries is available at www.comercio.gob.es/en/inversiones-exteriores/acuerdos-internacionales/acuerdos-promocion-proteccion-reciproca-inversiones-appris/pages/lista-appri-vigor.aspx. 19 Law 60/2003 of 23 December on arbitration. 20 Sales of foreign assets or companies held by Spanish companies are not included in this list.